Metro Sidebar (lets you add Windows 8 style sidebar to desktop), and Newgen (brings Windows 8 Metro Tiles to Windows 7 desktop). Today, we have an application called Windows 8 Start Screen Full, which adds Windows 8 Start Screen and Lock Screen to Windows 7. It also includes user-configurable tiles, Start Screen widgets, and shortcuts to Windows Media Player, My Documents, local drives and more. Although it doesn’t come packed with Window 8 native apps such as Socialite, News, Tweet@rama, Weather etc., it uses these applications’ tiles as widgets to let you configure social media accounts, RSS feed list, and access Gmail inbox. 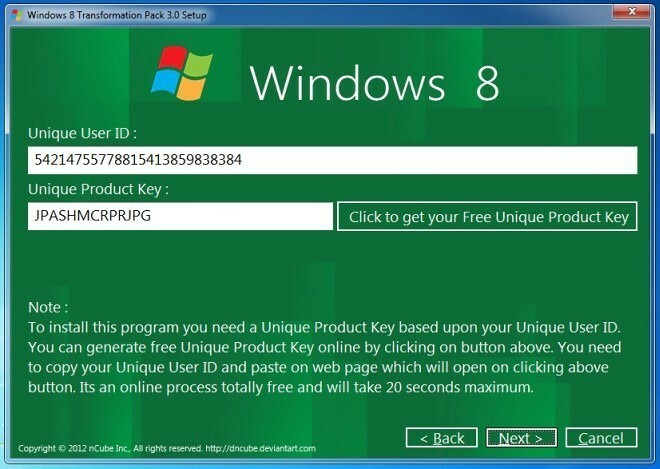 During installation, the application asks you to enter the Unique Product Key, click the corresponding button to get your Unique Product Key, and then paste the provided Unique User ID. Once the installation is completed, it will start automatically. As mentioned earlier, it doesn’t include Windows 8 Metro apps such as Socialite, News, Paint, Tweet@rama etc. You can use these apps tiles to view your RSS feed, configure social media account and view Twitter timeline. For example, Socialite tile lets you configure Facebook account to view updates on the tile. While some of the widgets run directly within the tiles, others only open the relevant URL in your default browser. Apart from Start Screen, it provides you with Metro Control Panel (accessible from Start Screen). 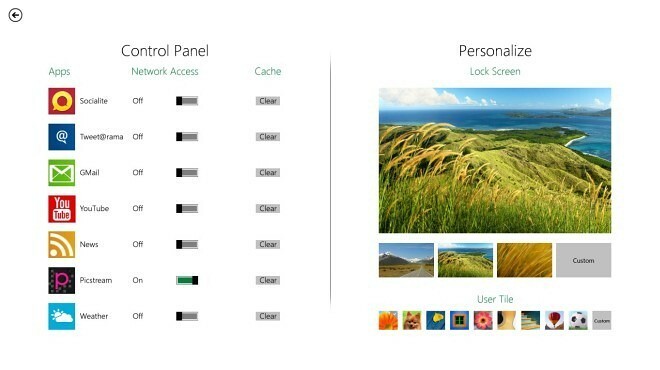 It allows you to personalize the Lock Screen, change the User Tile image and toggle the Network Access of widgets placed on the Start Screen. It must be noted that the application doesn’t support Windows 8 navigation feature, which lets users navigate between the Full-Screen apps, Start Screen, Desktop and other opened application windows. 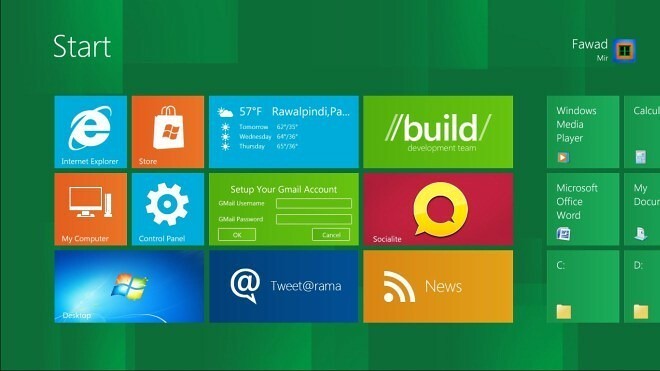 Windows 8 Start Screen works on Windows XP, Windows Vista and Windows 7. No Comment to " Windows: Get Windows 8 Start Screen & Lock Screen On Windows 7 "